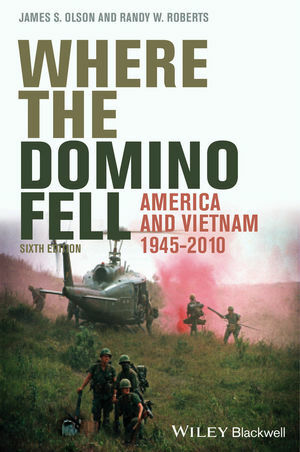 This updated, expanded edition of Where the Domino Fell recounts the history of American involvement in Vietnam from the end of World War II, clarifying the political aims, military strategy, and social and economic factors that contributed to the participants' actions. James S. Olson is Distinguished Professor of History at Sam Houston State University, and the recipient of the university's Excellence in Teaching Award and Excellence in Research Award. He is the author, co-author, editor, or co-editor of more than 30 books, including The Ethnic Dimension in American History, Fourth Edition (with Heather Olson Beal, Wiley-Blackwell, 2010) and Bathsheba's Breast: Women, Cancer, and History (2002), which won the History of Science Category Award from the Association of American Publishers, and was recognized by the Los Angeles Times as one of the best non-fiction books in America for 2002. Randy W. Roberts is Distinguished Professor of History at Purdue University. Among other books he is the author of A Team for America: The Army-Navy Game That Rallied a Nation at War (2012), coeditor of Hollywood's America: Twentieth-Century America Through Film, Fourth Edition (with Steven Mintz, Wiley-Blackwell, 2010), and coauthor of A Line in the Sand: The Alamo in Blood and Memory (with James S. Olson, 2001), My Lai: A Brief History with Documents (with James S. Olson, 1998), and John Wayne American (with James S. Olson, 1996).